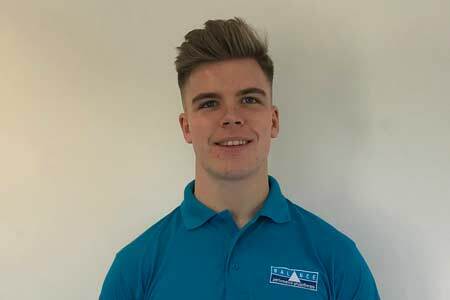 Joe trained at University of East Anglia and qualified in 2018 with a BSc Hons in physiotherapy. Joe has come to Balance as an intern influenced by the broad array of professions and areas of expertise the team has to offer. Joe developed his knowledge of the body through a passion for massage and manual-therapy he has worked with athletic teams, swimmers, and boxers throughout his time at college and then at university. This has naturally evolved to pitch side physio and the running of school Rugby clinics as a qualified therapist. Currently Joe also runs classes at Balance to share some self-myofascial release techniques using BlackRoll and Trigger Point Therapy tools to help individuals build better health habits and independently release built up tensions in the muscles and surrounding fascia. Working closely with a Sports Orthotist who specialises in knee, ankle and foot pathologies has given Joe the opportunity to develop a better understanding of walking patterns/ lower limb postures and the impact altered biomechanics can have to the rest of the body. This lower-limb focus has progressed to the assessment and fitting of customised knee braces to help give injured skiers the reinforcement they need to get back on the slopes. Outside of the clinic Joe channels time and energy into general strength and conditioning, as well as spending time with friends and outdoor pursuits such as beekeeping, foraging and hiking.